November has arrived and you know what that means? It's practically Christmas! Yes, I am one of those people who turns into a little Christmas Elf as soon as it turns midnight on November the 1st. This month seems the appropriate time to start banging out the gift ideas as who really wants to be running around in a mad panic days before Christmas? I sure don't! 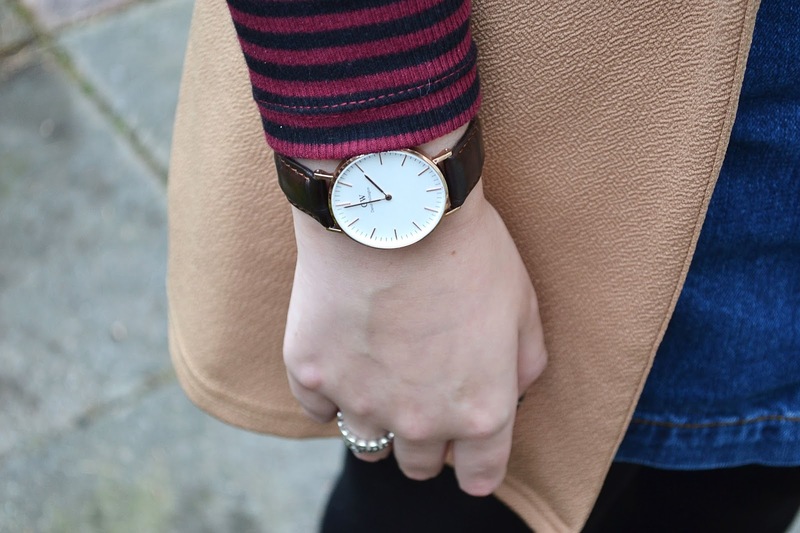 Today I'm here to share with you my new love, my Classic York* Daniel Wellington watch. Watches make such a wonderful gift, and the Daniel Wellington range is absolutely stunning as well as timeless. Since receiving my watch, it's barely left my wrist... I wear it everywhere. It has had many compliments and adds a little something extra to all of my outfits. As you probably know, I'm a sucker for anything rose gold, so it was inevitable that I was obviously going to love it. 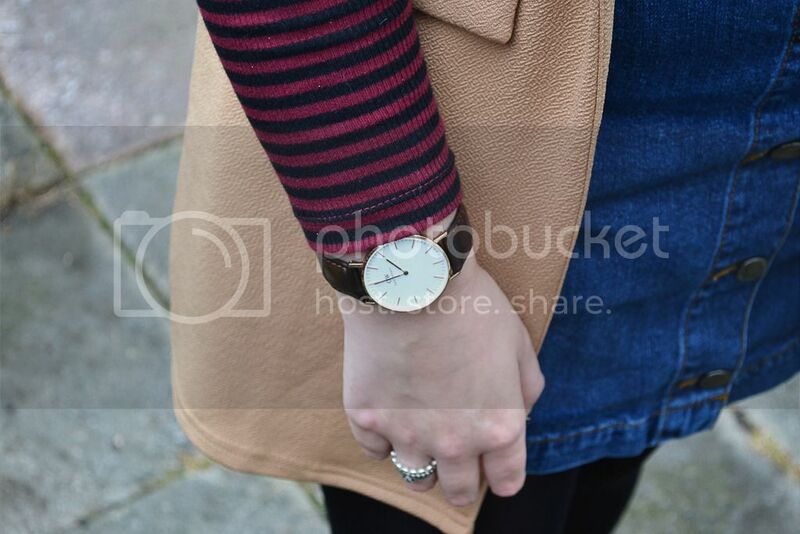 I adore the dark brown strap as it really makes the watch face stand out making it the ultimate statement piece. Think Ross from Friends after his spray tan kinda stand out... Maybe not that extreme, but you get the idea. As well as offering free worldwide shipping, Daniel Wellington have provided a discount code which enables you to receive 15% off your purchase from now until January 15th, right in time for Christmas. Just enter chaptersofkat at the checkout! I think we can all agree that these watches are pretty darn special, a brand that I will definitely be bearing in mind for future gifts. What's on your Christmas list this year? Have you started your shopping yet? *This post contains gifted items, all opinions are my own. I would be over the moon if someone bought me that for christmas, hint hint, Martin! This is such a classic DW watch, gorgeous pick! I think anyone would be over the moon if they received this at Christmas! Absolutely, it felt liked Christmas to me when it arrived in the post! 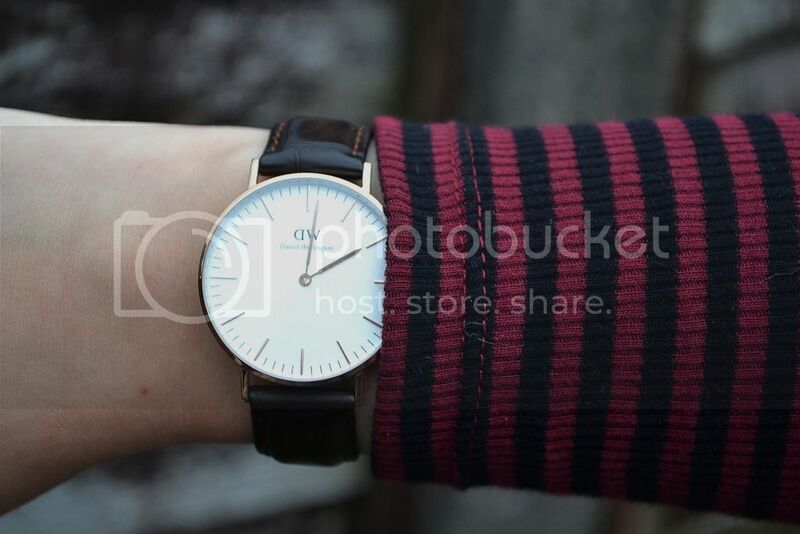 I really want a Daniel Wellington watch they look so sophisticated, I love the style you have chosen. Love it Kat! P.s. love the cheeky outfit in the background too!! That watch is gorgeous, Kat! Gorgeous watch hon & such a fab collab with DW! These DW watches are so stunning! I wish I could afford one! Really lovely watch, really classy and sleek. I also get so excited for Christmas, pretty much as soon as Halloween is finished! This watch is so cute, it's so simple and elegant, I love it! Lovely! I really want one! Ahhhhh THIS is the amazing post you mentioned in the ELB chat today ! I am in LOVE!!! It is such a contrast to all the huge chunky watches.. And I adore it! I may (OK I think I WILL) make use of your discount code! Fab collab Hun! And I am the same with Christmas as soon as Bonfire Night is over hehe! !